Waterhouse, John William (1849-1917) John William Waterhouse known to his family as 'Nino', was born in Rome on the 6th of April, 1849. Both of his parents were English painters who moved to Italy in pursuit of art. Waterhouse and his parents eventually moved back to England in the late 1850's. While growing up, Waterhouse assisted his father in art studio where the young Waterhouse developed his talents for sculpting and painting. In England, after several attempts at admission to the Royal Academy, he finally succeeded entrance in 1870. In 1885, Waterhouse became an Associate of the Royal Academy, and then a full member, Royal Academician, in 1895. Although often classified as a Pre-raphaelite for his style and themes, Waterhouse is truly a Neo-Classic painter. Waterhouse went on to paint well over 200 paintings depicting classical mythogolgy, historical and literary subjects, particularly those of Roman mythology and classic English poets such as Keats and Tennyson. Femme fatale is a common theme in his works, as most are of beautiful elegaic women and of many men are victims. 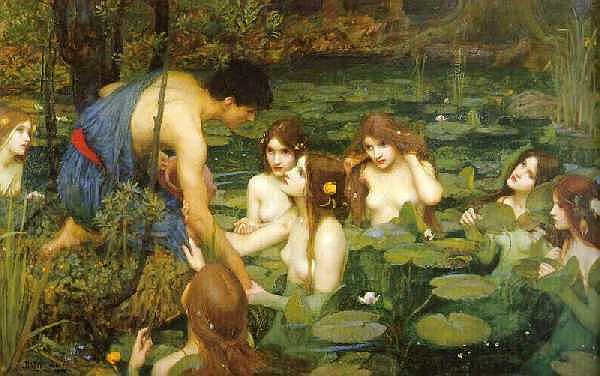 Waterhouse is one of the rare artists who became popular and relatively well-off financially when he was alive. 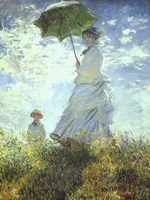 He continued to paint until his death on the 10th of February, 1917 after a long illness. His style became a major influence on many of the later Pre-raphaelites.